Draft: 2013, Colorado Rockies, 3rd rd. Samuel John Moll…resides in Memphis, Tenn., in offseason…at University of Memphis was 17-9 with 2.86 ERA and 213 strikeouts, the seventh-most in program history…2013 First-Team All-Conference USA selection…graduated from Saint Benedict of Auburndale HS in Lakeland, Tenn.,…named to All-Region and All-Region Tournament teams as junior in 2009, after leading the program to a state runner-up finish. The Totals - Posted a 10.80 ERA (8 ER, 6.2 IP) with 7 strikeouts in 11 relief appearances with Oakland... Minor Totals - Split minor league season with AAA Albuquerque (COL) and AAA Nashville, going 3-2 with 3.64 ERA (22 ER, 54.1 IP) with 47 strikeouts in 50 relief games... The Trade - Acquired by Oakland from Colorado in exchange for a player to be named later or cash considerations on Aug. 16... Isotope - Was 3-2 with 4.18 ERA (22 ER, 47.1 IP) in 44 relief games with Albuquerque... The Sounds - Did not allow a run over 6 appearances (7.0 IP) with Nashville... Limiting Damage - Allowed just four home runs in 54.1 innings in minors (0.66/9.0 IP). Attended his first Major League Spring Training, made his Triple-A debut and had his contract selected to the 40-man roster...Was assigned to Triple-A Albuquerque out of Spring Training and made his Triple-A debut April 7 at Tacoma, pitching 2.1 innings of hitless relief with one strikeout...Placed on the 7-day disabled list June 10 with left elbow inflammation and made two scoreless, hitless rehab appearances with Rookie Level Grand Junction...His 44 appearances between the Isotopes and Grand Junction were a career high...Attended his first Major League Spring Training and went 1-0 with a 2.45 ERA (3.2 IP, 1 ER), two walks and three strikeouts across five Cactus League relief appearances. Split time between High-A Modesto and AA New Britain, going 0-1 with a 2.63 ERA (20 ER, 68.1 IP)…limited left-handers to a .175 batting average against with Modesto… struck out a career-high seven batters in three innings May 5 vs. Bakersfield. Battled arm injuries to start season but went 0-1 with a 4.15 ERA (6 ER, 13.0 IP) in his 9 relief appearances in August after returning. Began career going 3-1 with a 1.80 ERA (6 ER, 30.0 IP) with 29 strikeouts in 10 games, including 6 starts with Short-A Tri-City…as starter was 2-1 with 2.28 ERA (6 ER, 23.2 IP). March 28, 2019 LHP Sam Moll assigned to Richmond Flying Squirrels from Sacramento River Cats. February 25, 2019 LHP Sam Moll assigned to San Francisco Giants. December 13, 2018 Sacramento River Cats claimed LHP Sam Moll off waivers from Buffalo Bisons. September 25, 2018 Buffalo Bisons activated LHP Sam Moll from the 7-day disabled list. June 17, 2018 Buffalo Bisons placed LHP Sam Moll on the 7-day disabled list. March 31, 2018 Toronto Blue Jays sent Sam Moll outright to Buffalo Bisons. March 29, 2018 Toronto Blue Jays designated LHP Sam Moll for assignment. March 18, 2018 Toronto Blue Jays optioned LHP Sam Moll to Buffalo Bisons. March 17, 2018 Toronto Blue Jays claimed Sam Moll off waivers from Seattle Mariners. March 11, 2018 Seattle Mariners optioned LHP Sam Moll to Tacoma Rainiers. November 30, 2017 Seattle Mariners claimed Sam Moll off waivers from Pittsburgh Pirates. 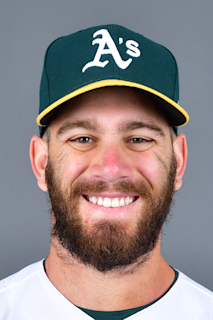 November 27, 2017 Pittsburgh Pirates claimed LHP Sam Moll off waivers from Oakland Athletics. November 20, 2017 Oakland Athletics designated LHP Sam Moll for assignment. September 1, 2017 Oakland Athletics recalled LHP Sam Moll from Nashville Sounds. August 16, 2017 Colorado Rockies traded LHP Sam Moll to Oakland Athletics for Player To Be Named Later. August 16, 2017 Oakland Athletics optioned LHP Sam Moll to Nashville Sounds. August 11, 2017 Colorado Rockies designated LHP Sam Moll for assignment. March 13, 2017 Colorado Rockies optioned LHP Sam Moll to Albuquerque Isotopes. November 18, 2016 Colorado Rockies selected the contract of Sam Moll from Albuquerque Isotopes. July 15, 2016 Albuquerque Isotopes activated LHP Sam Moll from the 7-day disabled list. July 9, 2016 Albuquerque Isotopes sent LHP Sam Moll on a rehab assignment to Grand Junction Rockies. June 10, 2016 Albuquerque Isotopes placed LHP Sam Moll on the 7-day disabled list. April 3, 2016 LHP Sam Moll assigned to Albuquerque Isotopes from Hartford Yard Goats. February 11, 2016 Colorado Rockies invited non-roster LHP Sam Moll to spring training. July 27, 2015 LHP Sam Moll assigned to New Britain Rock Cats from Modesto Nuts. April 4, 2015 LHP Sam Moll assigned to Modesto Nuts from Asheville Tourists. September 27, 2014 Asheville Tourists activated LHP Sam Moll from the 7-day disabled list. August 2, 2014 Asheville Tourists sent LHP Sam Moll on a rehab assignment to Tri-City Dust Devils. June 12, 2014 LHP Sam Moll assigned to Asheville Tourists from Tri-City Dust Devils. June 24, 2013 LHP Sam Moll assigned to Tri-City Dust Devils. June 14, 2013 Colorado Rockies signed LHP Sam Moll.